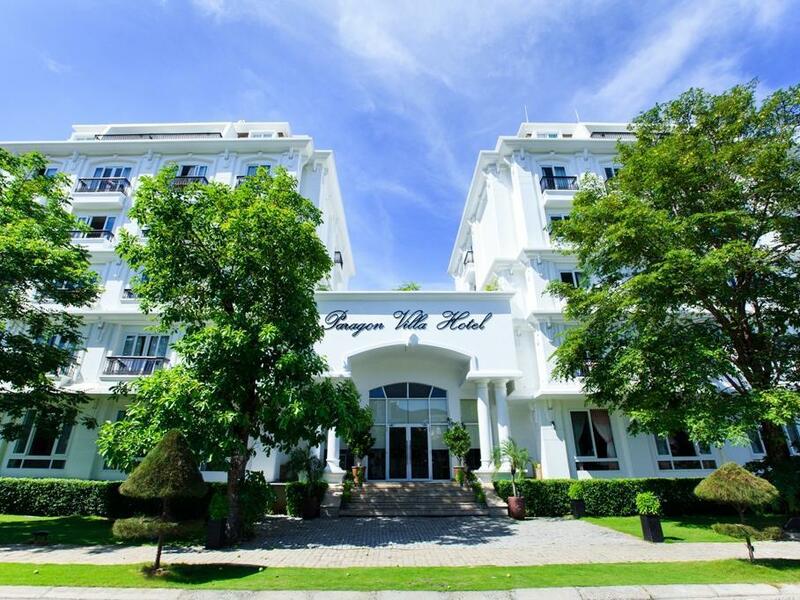 "Nice staff, comfy hotel, feels safe"
Have a question for Paragon Villa Hotel Nha Trang? 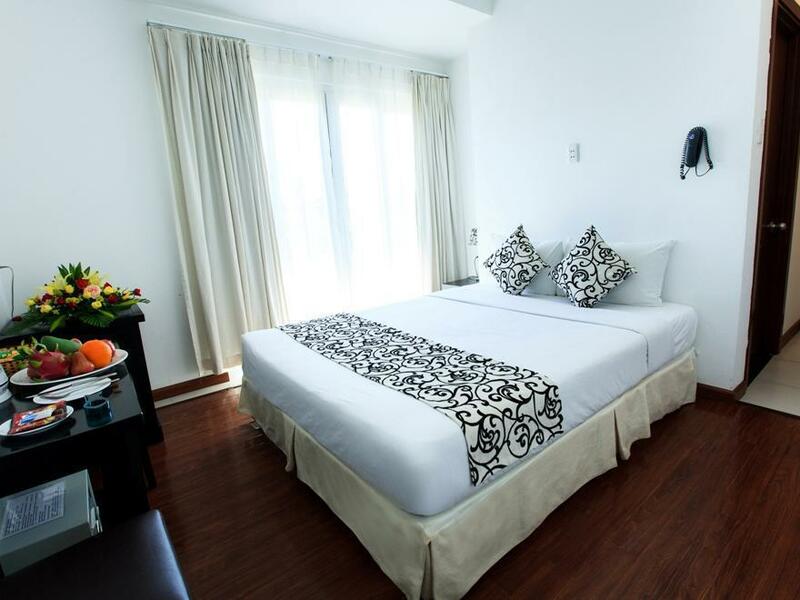 As a 3-star hotel at an affordable price, Paragon Villa Hotel Nha Trang provides a choice of 74 rooms offering magnificent views of Nha Trang Bay. With classical and luxury architecture, Paragon Villa Hotel Nha Trang will surely impress even the most discerning travelers. 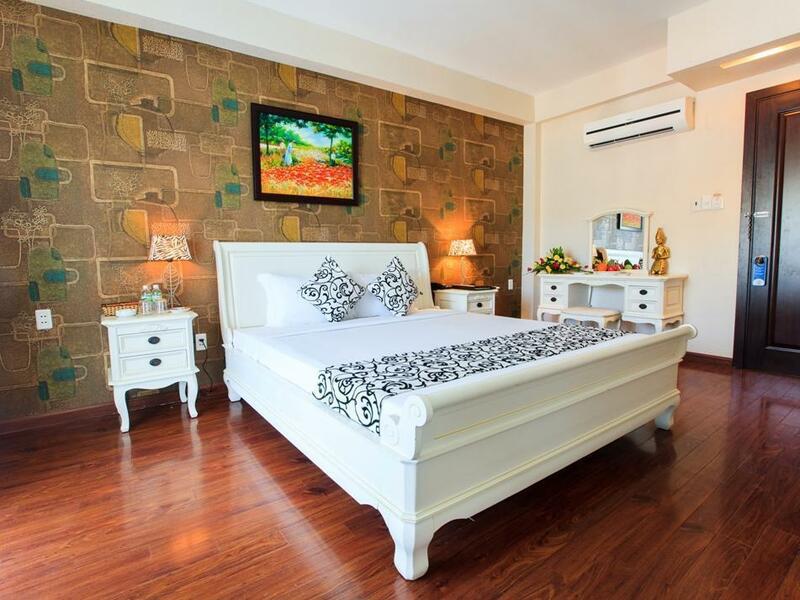 Without a doubt, the hotel is the leading choice for leisure in Nha Trang due to the amenities and full service facilities offered for guests’ utmost relaxation. From the moment that guests walk through the doors, staff will impress them with their knowledge of the property and Nha Trang. All of the 74 rooms are equipped with private balconies that offer magnificent views of either the mountains or sunsets over the ocean. As a full-service hotel, guests are offered an in-house restaurant, conference and meeting space, an outdoor swimming pool, a private beach, a free shuttle bus to the center and back, 100% safe parking, a big garden for team building, elevators, Wi-Fi internet access, a business center, tour desk, airport transfer service, laundry service, and foreign exchange. Maximum 1 child under 12 years of age is allowed in each room. Child from 6 to under 12 years of age is charged directly at hotel upon check-in for breakfast when using existing beds. Paragon is very new hotel with a very professional services. It owns a big land in a very nice position. Its accommodation are over wonderful. I and my wife have a very good trip with it. Room is nice, clean and nice signseeing. First, the breakfast buffet was so so, not really tasty. They have narrow range of foods. However, we were impressed with the dinner. The menu has multiple choices of asian and western styles. Also, the food was really delicious and the price was quite cheap if compared to the quality of food. Second, the room was big and cosy with only white color and woody brown. In my opinion, i was satisfied with this room at 5th floor. Luxury, bright of sunlights with two large windows and balcony but its cheap if compared to some other hotels. You can get the wide view from the room and be awaken by the sunrise. Third, the staffs are very helpful and professional to complete our requests such as late check out, motorbike rental and fix the sink at midnight, book the tickets, etc I would love to recommend everyone else to stay there. However, the location is quite far from the center. It takes about 15mins by driving. Tips : rent the motorbike at hotel or u can use shuffle bus to the center ( follow the bus schedules at reception desk ), ask receptionist to book tour or ticket if u can't or don't know how to book by your own. The hotel was clean and new, friendly staff, the only two negative experienced was the breakfast was a little thin on variety and the other was its seclusion away from Nha Trang. It within walking distance of the ferry terminal for Vinpearl, but needed a taxi if you wanted to got into town. The Hotel did offer free shuttle service three times a day. Realy fast service, manager whit staff realy nice to children. Hotel are realy nice all over, nice privat beach, clean rooms, good breakfast, top service. But, We where missing a small store to bye daily goods. Nearest shop was about 2-3 km away. Beds were unfortunately they harshest we have experienced, then we have done some traveling in Asia. Last shuttle bus from Nha Trang city was little early back to hotel 8pm. There was not much to do around the hotel area. Hotel bar / kitchen closed a little too early in the evening. Phòng sạch, đẹp và tiện nghi, cửa sổ lớn tuy không có view đẹp nhưng rất thoáng mát và sáng sủa. Đi bộ từ khách sạn ra biển chỉ mất có 1 phút, bãi biển ở đây cũng sạch. 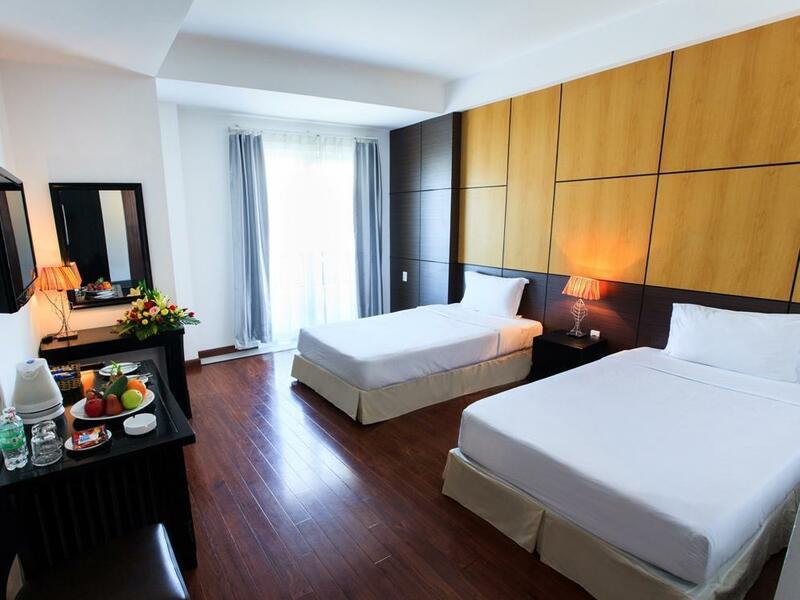 Đặc biệt ở tại Ruby Hotel tạo cho tôi cảm giác rất yên tĩnh và riêng tư, không ồn ào như những khách sạn khác mà tôi từng ở tại Vũng Tàu. Nhân viên rất thân thiện, tôi đến sớm vẫn được nhận phòng. Best stay ever, very friendly and helpful staff + Private beach is so great !!!!!!! The staff and the hotel is great. The venue is secluded and very secured. We could not asked for a better place to stay in the whole of Nha Trang. It is a bit removed from town center but there are free shuttle to transfer guests to town, however it is so close within walking distance to the cable cars to Vinh Pearl and the place have its own private beach and own private streets. This is as VIP as it gets and it is certainly great value for money. I really like Paragon Hotel , it very new and big room , the staffs are very friendly , the hotel location is very queit but i don't mind , everynight i really have a very good sleep , if you going out to the center , you need to get a Taxi , it's cost US$5 one way . stay here if you have time to relax and get in early because it will become high price once everything is finished around the area. was great value of price, breakfast is included but be warned some mornings they will have a buffet other mornings they wont have much (i think it depends on how many people is staying in the hotel) it is a taxi ride to the city but you want to stay here to relax and get out of the hussle and bussle. they do have a kettle so you can make your tea and coffee in the room! i was concerned when i booked because the price i payed told me not to expect great things. i was wrong. the hotel is around 5 km from the centre which is its only downfall but the rooms are fantastic and clean great views quiet location and the staff offered great service in fact the best i have had in vietnam. i believe the hotel is new as some things were not finished and as the hotel wasn't busy the breakfast wasn't great. however i had a meal from room service which was great. i hope that they keep the prices and it's service to the same standards and would advise anyone to give it a try! this is a very new hotel so the facilities and condition of the hotel is very good. on the plus side, the hotel staff are very polite and helpful. the only downside is that the location is about 15 min drive from town. so book this hotel only if you have your own transportation. 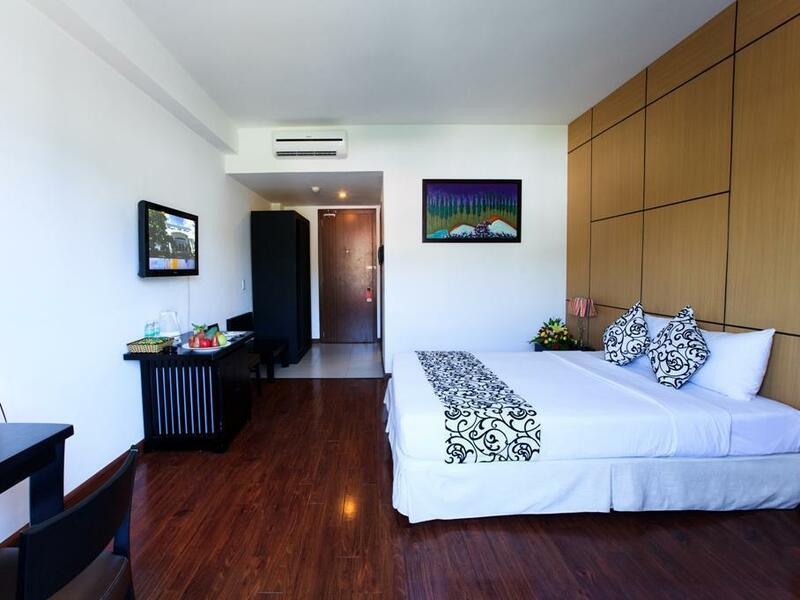 the rooms overlook the sea and you cannot complain too much as the price is one of the best in nha trang. i would stay there again. This is a white castle next to a peaceful seaside. So sweet here. We love it. We tried to be back this hotel last occasion but it was full. It was a clean and open view hotel with a nice beach sides pool , but the location is not convenicence. You need to take taxi to town. Brand new, clean, great beds and pillows. A little out of town but close to vin pearl island and port. New furnishings, great beds, big rooms. Good for a quiet break. The hotel is far from the city center, but near the cable car and peacefull location. The breakfast was poor choice. This hotel was about a 20 minute drive from the city of Nha Trang but they did provide a van several times a day and pick up as well which made it more worthwhile. There is nothing around the hotel area to purchase food and nothing of interest. The hotel has a private man made beach about 200 metres down the road and provide umbrellas and lounges in a sheltered area. It is probably better for groups than individual visitors and most of the other visitors were from Russia or surrounds. Breakfast was basic and coffee was already made up with sweetened condensed milk. We asked for just black coffee but were given cold coffee. There only seemed to be one staff member who spoke English which was confusing at times. 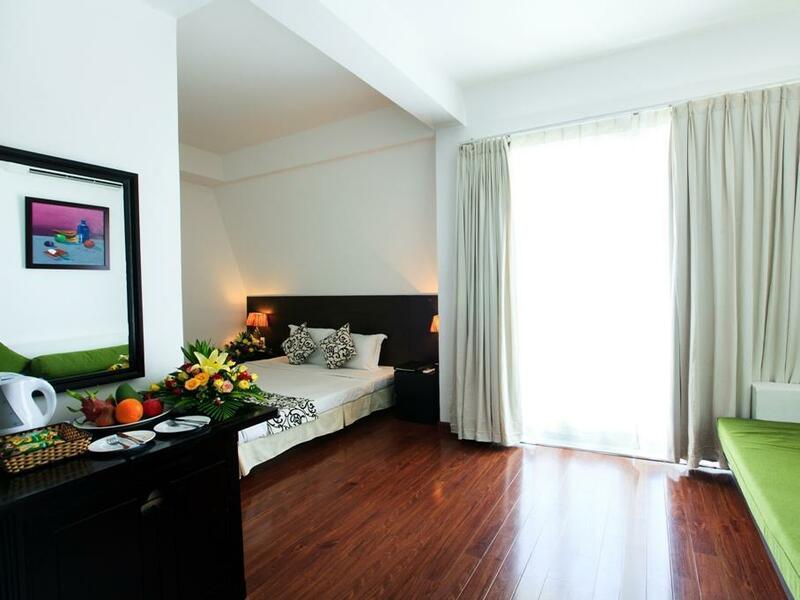 The rooms were comfortable, clean and spacious with small balcony and quiet a/c. Disappointing for us but Ok for others maybe. I was very disappointed. I was put far away from my travelling companions. I had no shower or bath for 4 of the 5 days, the food was expensive and poor quality, the shuttle bus to the city was not working and so infrequent I spent a fortune on taxis and there were no shops nearby so bad to go to the city for everything. If you want enjoy private beach, have quite atmosphere, just want to relax, it will the good choice. BTW, if you want to enjoy city, go to pub or shopping, dont stay here. I love this hotel cause room is beautiful and clean, beach near and not so much people. We stayed here one night. The hotel is clean and the price was right. It is located far from everything in Nha Trang and in the middle of a large, residential construction site. The price was cheap, the room was clean but the staff, especially in the restaurant was rude. I say, there are much better places to stay in Nha Trang.